Rae joined Goffs as Chief Financial Officer in August 2010 and was promoted to the Boards of Robert J Goff and Goffs Bloodstock Sales as Financial Director in April 2012. 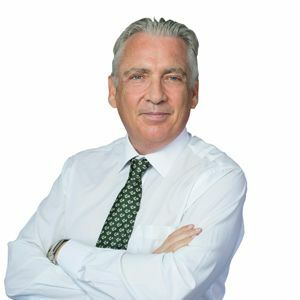 A qualified Associate of the Chartered Institute of Management Accountants, Rae’s strong financial background includes ten years as Financial Director of McKeon Companies, encompassing the McKeon Motor Group, Emdan Developments and ConnGav. Prior to McKeon, Rae held varying finance positions within plc and multinational companies both in Ireland and the UK.